Members of the Artist Diploma Ensemble, by Kenny Barron, Rodney Jones, and Wynton Marsalis are: Lukas Gabric, tenor saxophone; Greg Duncan, guitar; Reuben Allen, piano; Paolo Benedettini, bass; and Jordan Young, drums. 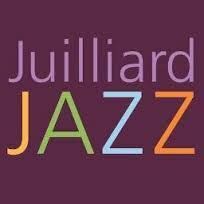 Now in its 13th season, Juilliard Jazz offers degrees at bachelor, master, and Artist Diploma levels. The program aims to develop exceptionally educated musicians versed in the Jazz continuum and its American vernacular roots. Through improvisation, swing, and the blues aesthetic, Juilliard Jazz nurtures and cultivates individuality, community, and the depth of feeling and generosity of spirit known as soul. Juilliard Jazz students are empowered to realize their highest aspirations as people, artists, and citizens.